Jung has been often (rightfully) seen of being a contemporary Gnostic. However, the interpretations which Jung places on Gnosticism and the texts which Jung refers to on alchemy, were often Kabbalistic, so much so that one would be more justified in calling the Jung of the Mysterium Coniunctionis or Kabbalistic in contemporary disguise. One of the most serious and arguably criticisms against Kabbalah and the early Gnosticism of C.G. Jung is, that they may lead away from monotheism, and instead promote dualism, the belief that there is a counterpart to God: The good power versus an evil power. Gnostic-dualistic cosmology having roots in Zoroastrianism, believes since creation good and evil forces are divided; Neo-Platonism (which found its way in Christianity), argues that the universe knew a primordial harmony, disrupted by an evil force. This second model influenced the cosmology of the Kabbalah. According to Kabbalah cosmology, an infinite number of ten Sefirots are emanated from the representing ten different ways the one God reveals his will and also represent the different aspects of Morality. To Jung, profoundly influenced by Catholicism God is in us, to Taoism God is in the nature. The goal of this essay is therefore to find the Tree of life in C.G. 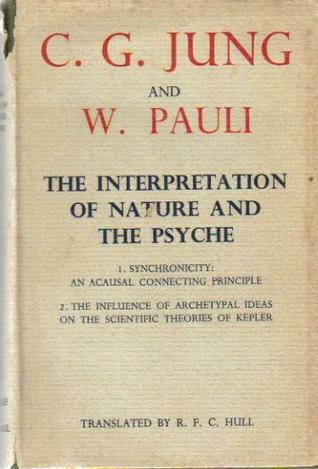 Jung’s view of our psyche, Astrology and contemporary Physics. The article appreciates the affinities between Jungian psychology and Jewish mystical thought in particular Jung’s use of Kabbalistic symbols and ideas as well as his usage of numbers and Alchemist thoughts. It is just draft, and sketchbook and interested primarily on three (trinity), four (quaternary) and ten (as well as their multiples). The Hebrew Alef-Beit (alphabet, can be mapped to a number and symbol representing the deepest secrets of Creation. In one monastery I say recently an exhibition which visualizes those numbers and characters as symbols. The Kabbalistic classic Sefer Yetzirah (Book of Formation) teaches that creative consciousness exists in three states (space, time, and soul), which are reflected in the form, name and numerical equivalent of each letter. In Dogmatic Kabbalah the conscious God is the awakened decade of Sephira. The primary human conception of God is the Boundless, whereas the Conscious God has awaked. The word “Sephir,” from which “Sephira” is derived, is usually translated as “Book” “Letter” or “Number” but the underlying idea is “Information” or “Pattern”. Those pattern represent culture interconnections or in a Jungian sense symbols, i.e. manifestations of archetypes. The fifth, sixth, seventh, and eighth Sephira are called, respectively, Hesed (Strength, Red), Gevurah (Beauty,Yellow), Netsah (Firmness,Green), and Hod (Splendor, Blue) and represent four of the component colors of Light: Red, Yellow, Green and Blue. 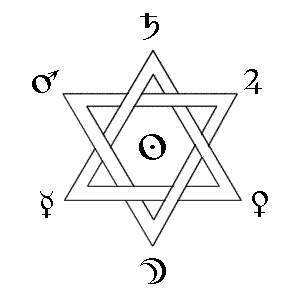 Tifereth, Hesed and Gevurah form the second Triad, and Yesod, Netsah and Hod the third; these two Triads combined constitute the Hexad, which is the Soul of the World, and of it are derived the souls of all individualized existences. The First Cause, timeless and eternal, the first emanation of diety as our universe is Kether. Like the Chinese Tao, talking about it too much, evaporates your understanding of it. The first sephiroth below the supernals is Chesed, which means “Mercy.” This is a sephira of merciful power, benevolence and generosity. The influence of this sephira is kingly and mystical. The primary influence of this sephira is strength. Specifically, the strength of the righteous against the forces of evil like warrior gods. The sephiroth of Yesod is the process of crystalization, where energy becomes definable as forces. The action of Hod and Netzach comes together before its final projection into Malkuth. DA’ATH – Knowledge – is not a Sephira. It is not on the Tree of Life: that is, there is in reality no such thing. Da’ath is the crown of the Ruach, the Spirit and its place is in the Abyss. “Da’ath like the evil number zero, has a dual aspects, on one hand it is our knowledge of the world of appearance, the body of facts which constitute our beliefs, identity and ego. On the other hand it is revelation, objective knowledge, what is often referred to as gnosis. The transition between the knowledge of the world of appearance and revelation entails the experience of the abyss, the abolition of the sense of ego, the negation of identity. From within the abyss any identity is possible. It is chaos, unformed. It contains, as it were, the seeds of identity. The sphere of knowledge Daath is invisible and the Random chaos of thought and conceptionbecause it contains both accessible and hidden knowledge. This sphere has no archangel but is used as an entrance and exit point to the Yetzirah (the third world of formation), the realm of the angels. Daath is often called the Abyss, the gulf between the phenomenal world of manifestation and its source. Only by passing through the Abyss can we realize out innermost spiritual nature. 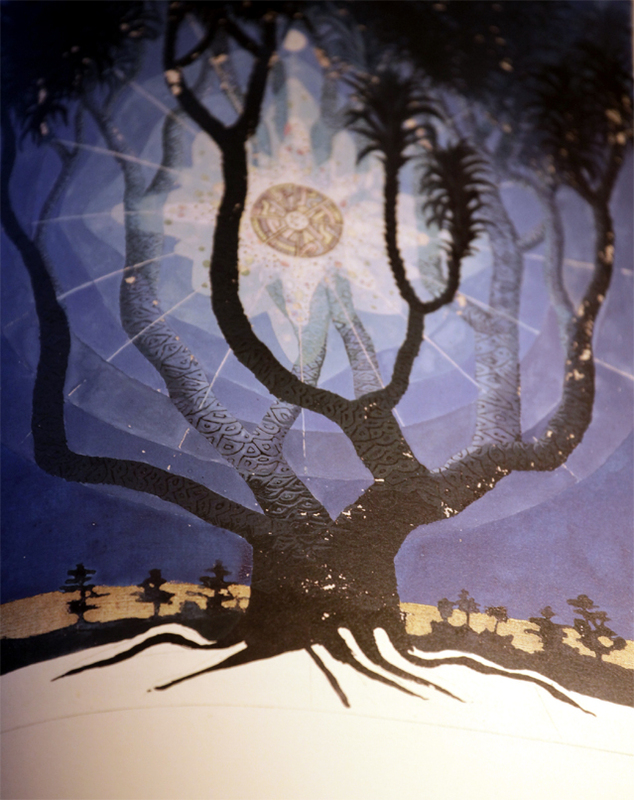 Daath is the primary junction where various forces on the Tree of Life – femal and male – come together, yet it is also a barrier that you must pass beyond if you wish to scale the Tree of Life. In Christianity the male and female archetype is the celibate Jesus and the Virgin Mary. 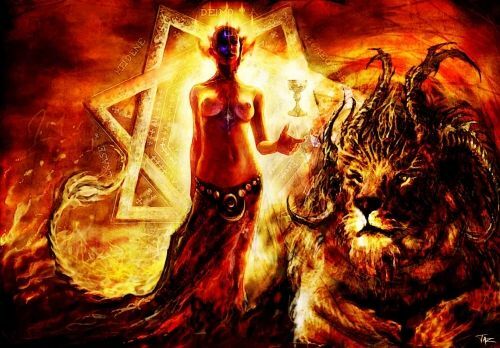 In Babylon however, the High Priestess, however, a priestess is essentially a “nun”, whereas the role of the priestess in the mystery cults of the ancient world was essentially that of what has been derogatorily (but correctly) described as a “sacred whore” of Babylon. Number helps more than anything else to bring order into the chaos of appearances. Remarkably enough, the psychic images of wholeness which are spontaneously produced by the unconscious, the symbols of the self in mandala form, also have a mathematical structure. They are as a rule quaternities (or their multiples). These structures not only express order, they also create it. The Kabbalah, regarded by many as a Jewish form of Gnosticism , the Kabbalah achieved its own unique expression in the anonymous Sefer HaBahir, generally regarded as the earliest extant text in this mystical genre. It is in this work that the theory of the ten Sefirot, the value archetypes (Will, Wisdom, Understanding, Kindness, Judgment, Beauty, Glory, Splendor,Foundation and Kingship) which the Kabbalists all held to be the essence of creation, takes distinctive form. The Zohar, which is written as a loose and far-reaching commentary on the Torah (the Five Books of Moses), is the source of much of the “wedding symbolism” (unifications of the various Sefirot) which preoccupied the alchemists studied by Jung. Its homilies on the nature of the unknowable infinite, the integration of masculine and the feminine, and the relationship between good and evil can provide much of interest to analytic and archetypal psychologists. Jung himself quoted a number of Zoharic passages. Mysterium Coniunctionis includes citations of the Kabbalistic symbols and ideas found in non-Hebrew reference on the Kabbalah and had correspondence with a number of sholars who had first-hand knowledge of Kabbalistic texts and certain Kabbalistic symbols, such as the Sefirot. 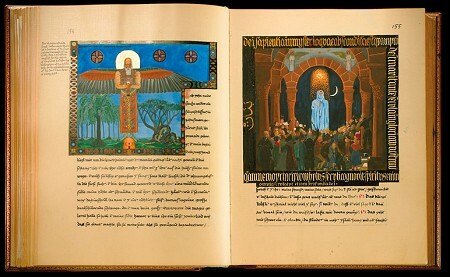 The major Kabbalistic ideas which concerned Jung were those that had clear parallel formations in Gnosticism and alchemy: the notion of a spark of divine light contained within humanity, the concept of Primordial Adam who contains within himself in coincidentia oppositorum the various conflicting tendencies within the human spirit, the theory of divine unifications, particularly the unifications of good and evil and masculine and feminine. systematically considered Gnosticism from the point of view of his own analytical psychology, Jung had been familiar with Gnostic theology and even constructed, in 1916, his own “Gnostic Myth” entitled “Septem Sermones ad Mortuos” (Seven Sermons to the Dead). A variety of other typically Gnostic themes make their appearance in “The Seven Sermons”. Amongst these are the doctrine that humans, as finite creatures, are characterized by “distinctiveness,” and the natural striving of humankind is towards distinctiveness and individuation. Years later, when Jung comes to take a second look at Gnosticism through the eyes of a more fully developed archetypal psychology, he reverses himself and interprets it in a manner which is far more friendly to the world and the individual, and, as I will argue, far more Kabbalistic than Gnostic. Jung sees in the Gnostic (and Kabbalistic) symbol of Primordial Man a symbol of the goal of his own analytical psychology. Jung provides a daring and far reaching interpretation of alchemy and was aware of the strong relationship between the Kabbalah and late alchemy. He wrote of specific Kabbalistic influences on the alchemists of the 16th century and later. “Directly or indirectly”, Jung writes in the Mysterium, “the Kabbalah was assimilated into alchemy. Relationships must have existed between them at a very early date, though it is difficult to trace them in the sources”.Jung points out that by the end of the 16th century the alchemists began making direct quotations from the Zohar. He also notes that Paracelsus had introduced the sapphire as an “arcanum” into alchemy from the Kabbalah. While Jung clearly recognizes the relationship between Kabbalah and alchemy, the spiritual aspects of alchemy, which interested Jung, were to a very large extent Jewish in origin. He regarded the various metals in the alchemical work to be analogous to aspects of humanity, hence one famous maxim “Join the male and the female and you will find what is sought” could well serve as a motto for much of Jung’s individuadion. The interested reader is referred to works by Suler (1972), and Patai (1994). Although its origins are rooted in deep antiquity, from the time of ancient Babylon, the science of Kabbalah has remained virtually hidden from humanity since it appeared more than four thousand years ago. Newton, Leibniz, and Pico della Mirandola, have investigated and tried to understand the science of Kabbalah. It is impossible to comprehend the invisible, the imperceptible, and that which has not been experienced. For thousands of years, humanity was offered a wide variety of things under the name “Kabbalah”: spells, curses, and even miracles, cluttered with misconceptions and misinterpretations. Therefore, first and foremost, the numers of Kabbalah needs to be made clear. There exists the upper force or the Creator, and governing forces descend from this upper force into our world. We are familiar with various forces in our world, such as gravity, electromagnetism and the power of thought. This upper force gave birth to the upper worlds. There are five worlds in total. The so called Machsom—a barrier that separates the upper worlds and our world—follows them. From the upper force—the Creator, also known as “the world of Infinity”—mathematically the turned eight. There was a wonderful article about Hod, Hebrew for 8. Indeed the 8 is well used in the archetypical knowledge in all cultures. In Hebrew every letter has a numerical value, or gematria. The gematria of Chet ח is 8 and is referred to as ‘the letter of life’. i.e. the Life Dynamic – Run and Return. Lets not forget the three and the hexagon. Six (and twelve) are important to science and its early sisters – astrology and alchemy. 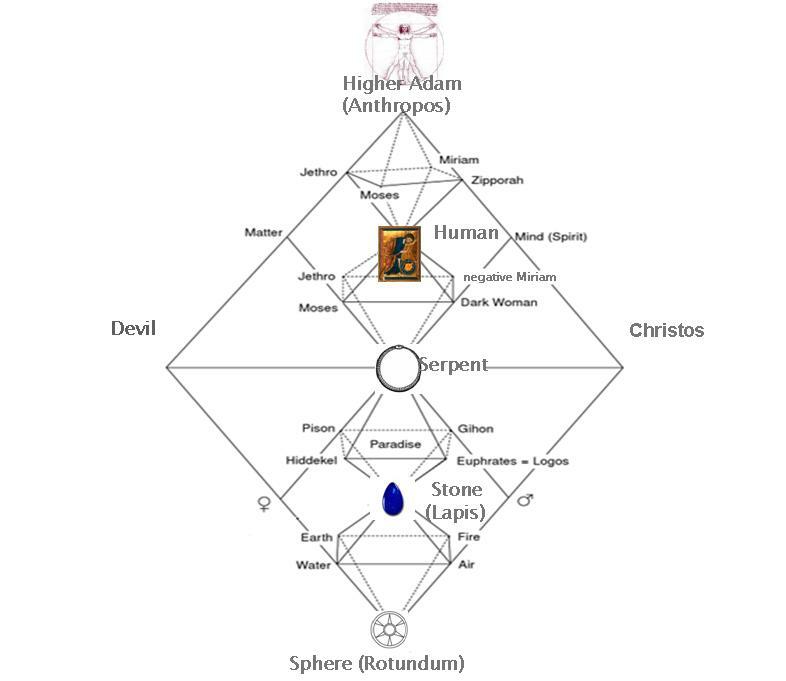 Also the Kabbalah system of ten sephiroth, is comprised in three pillars of three with twenty-two paths interconnecting them: – “The Tree of Life”. The three is prominent in physics, especially in quantum physics.A unique scientific conference was held in San Francisco, California 2005, introducing Kabbalist Rav Michael Laitman, PhD and quantum physicists William Tiller, PhD, Dr. Jeffrey Satinover, and Fred Alan Wolf, PhD. The theme of the conference was “Quantum Physics Meets Kabbalah”. Isaac Newton proved through a series of experiments that white light refracted with a prism, resolved it into its component colors: red, orange, yellow, green, blue and violet (being red, green and blue primary). Two times three. Then there are six quarks who form matter. This Standard Model of six flavors of describe all the currently known elementary particles, as well as the Higgs boson: (q), named up (u), down (d), strange (s), charm (c), bottom (b), and top (t). Again two times three. Now, a term “color” was introduced to label a property of the quarks which allowed apparently identical quarks to reside in the same particle, for example, two “up” quarks in the proton. To allow three particles to coexist and satisfy the Pauli exclusion principle, a property with three values was needed. The idea of three primary colors like red, green, and blue making white light define symbolic three distinct quantum states. Unfortunately that das not match with the four colours of those for Kabbalah Sephiras have also pretty consistent cross cultural meanings. Blue truth/sadness The primary association of the color blue for most of recorded history was with truth a meaning that leaves a remnant in our language in the phrase “true blue.” This was because blue is the color of a calm and clear sky, and it is calm reflection that leads to truth. Red passion: Red has a range of symbolic meanings, including life, health, vigor, war, courage, anger, love and religious fervor. The common thread is that all these require passion, and the “life force” that drives passion blood is red. Yellow happiness/cowardliness It isn’t surprising that yellow symbolizes happiness, warmth and sunshine in most cultures; these are characteristics of the yellow sun and its effects.In ancient cultures where a god or gods were associated with the sun, such as Egypt and China, yellow was the highest and noblest of colors and thus, the color of religious figures and royals (who were thought to be descendants of the gods or semi-gods). Science, in its quest to reveal the underlying unity within nature, constantly finds itself returning to the origins of the universe — to the primordial “day one” (yom echad) of Creation or Big Bang. The universe, in its present state, is too cool and solid for one to find within it an intimation of such unity. Only amid the energy and heat that reigned at the very inception of time and space, could all the forces and elements of nature meld into one. Such are the premises that underlie the unified field and “big bang” theories. Should one seek the even deeper unity that binds “existence” to “non-existence,” then it becomes necessary to propose even more obscure theories — such as string theory — which an meta-physical character and somewhat discared today. 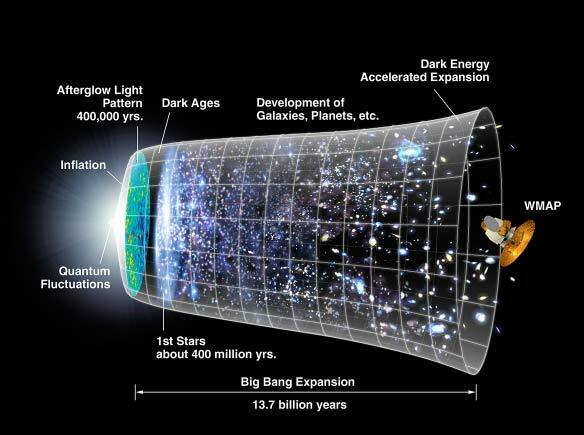 The cosmological process that produced this space-time continuum is presently understood by many to have taken place in four stages — derived from the “string” theorists and the “big bang theory”. First, the mathematical properties and relations governing space-time had to be defined or “created”. Next, in a single quantum leap, “something-ness” emerged spontaneously out of that “abstraction”. At that point, a great “inflation” of the universe occurred. Finally, the “big bang” unleashed the full thrust of its force from within a single point inside that inflated universe. In Kabbalistic terms, these four stages could be viewed as corresponding to the four-letter sequence of G-d’s ineffable Name — Yud Hei Vav Hei, the model upon which all meditation directed at G-d and Creation is based. Thus, any return to the primordial unity of creation would seem to imply a corresponding return to maximal symmetry. The uncertainty principle of quantum physics, discussed by Paul and Jung establishes the impossibility of simultaneously determining certain pairs of subatomic phenomena (such as position and momentum), implies that the very act of human observation — or “consciousness” — irrevocably affects one of the properties which one is observing. Physicists disagree as to what degree of consciousness is necessary to the measurement of physical reality. Nevertheless, the implication remains — as supported by the corresponding meta-physics of Kabbalah — that consciousness can determine of its own the nature of the world we seek to know. The litany of modern physics is replete with constants: the speed of light remains constant regardless of the circumstances surrounding its measurement; energy-changes in the universe occur at fixed “quantum” intervals (Planck’s constant) rather than in contiguous increments. These two “constants” in nature — “c” (the speed of light) and “h” (the quantum-energy unit) — change forever the way we conceive classical concepts such as “infinity” and “zero”. Another foundation of modern physics is cited as the postulate stating that all physical structures tend toward their lowest possible energy level. This fundamental principle is reflected in the Kabbalistic doctrine of “descending worlds” whereby Creation is viewed as descending from the infinite energy of Divine Being into the stasis of material reality. In Kabbalah, the property of “descent” associated with the material realm achieves its ultimate expression in water — which by nature flows downward, seeking out the lowest ground. The opposing property of spiritual ascent is modeled in the flame of fire, consuming matter in its attempt to ascend upward. Ultimately, the force of gravity associated with water supersedes the force of lightness connected with fire — just as the world’s grounding in materiality over-rides its inner desire to be consumed within Divinity. According to most physicists, the universe has already achieved its lowest level of energy distribution. This would mean, according to Kabbalistic faith, that the world is about to enter into a new state of symmetry. In conclusion, we now see how fundamental tenets of modern science — the underlying unity of nature, the uncertainty built into subatomic reality, and the universe’s tendency toward increasing dissipation — found in Kabbalistic belief at three junctures: the primordial past (belief in the initial Divine unity out of which Creation was conceived), the continuous present moment (belief in the ongoing construction of reality through refined consciousness), and the developing future (belief in the higher unity that will assert itself once every last element within Creation is illuminated by the soul). Sufi is a form of Islam which typically places less emphasis on literal interpretations of Qur’an and hadith but instead focuses on mysticism and spirituality. Typical practices include dhikr (reciting the names of God) and some forms of mystical dance. It can rightfully been argues as to whether Sufis are even Muslim, a separate Islamic denomination to Sunni/Shia or whether Sufi practice is included in normal Muslim beliefs. Despite the repeated protestations to the contrary, Sufism was infused from Kabbalah and may be more Gnostic than Islam in the inside. Sufism was endemic around the Mediterranean basin, surrounding Kabbalistic philosophers. Islamic mystics were not only ubiquitous in the areas where the Kabbalah emerged, but they had used as Gnostics the trail of mystical which the Kabbalah showed. While Jewish mysticism of the visceral, prophetic sort had been a decentralized, flaccid affair over the several hundred years prior to even Christianity, Sufis had been assiduously following a path of personal union with God. Sufis became inspired by Jews such as Moses, Abraham and Obadyah Maimonides, Solomon Ibn Gabirol, Judah Halevi and many other philosophical ideas of Jewish mystical conceptions, thereby taking their first steps in this journey towards a mystical symbiosis. There were seven classical planets including the sun and the moon, seven days in a week. Below we see a hexagram with the planets displayed on it. In the Old World it was taught that the soul ‘descends from and returns to the stars’ via the planetary spheres. 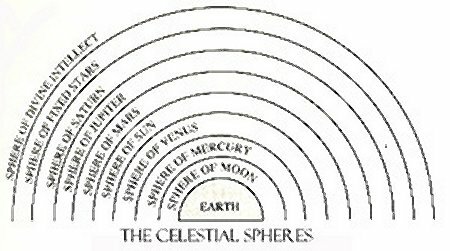 The order of descent was as you see above, from Saturn, to Jupiter, Mars, the Sun, Venus, Mercury, and the Moon. The Moon, at the bottom is the last sphere before reaching the earth plane, and since the moon rules Cancer, this was called the Gate of Birth. Saturn, at the top, rules Capricorn and is the last sphere before the stars, and is the Gate of Death. Today, many people believe that humanity’s progress is approaching a dead end. Our past hopes for a better, happier life through scientific and economic progress have been overshadowed by a growing pessimism over what seems to be an impasse. It may be found in the Book of Zohar, that at the end of the twentieth century humanity will start asking about the meaning of life, and that the answer to this question, hidden in the ancient science of Kabbalah, can only be revealed in our time, precisely because of these challenging circumstances of the new world order. Jung, C.G. Psychology and Religion. In Psychology and Religion: West and East. Collected Works, Vol. 10. Pictures: Taken from a pdf published and freely available on the internet under public domain.